It's been a hectic past couple of weeks at work, and I've honestly just been forgetting to take pictures of what I'm wearing. In fact, this picture is a direct result of me remembering during my toddler's bath that I hadn't done a Newsroom Fashion post in a couple of weeks, so I quickly snapped a photo while sitting on the bathroom floor. There's nothing special about this outfit but it's so comfy and flattering. 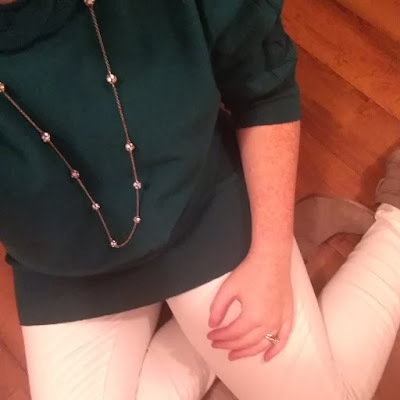 I'm so glad I splurged on these white jeans from The Limited this Spring and this sweater back when I was pregnant. Now that I'm normal size again, it fits like a tunic so I can wear it with jeans or leggings. 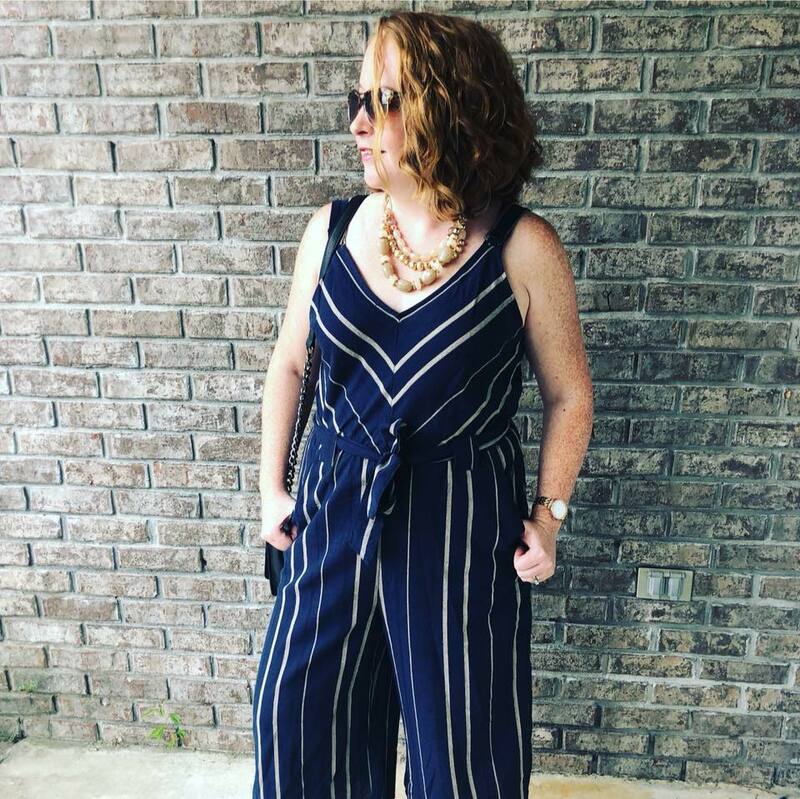 Everything I'm wearing is at least six months old, proving once again that smart shopping is always worth it in the end! I couldn't find anything really similar to my sweater, but I linked to some tunic-style sweaters that come in a similar color that are available at The Limited right now below.